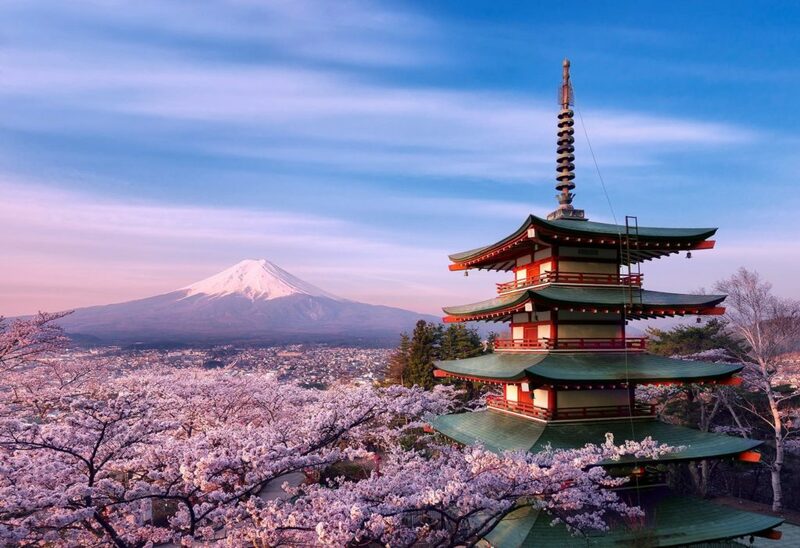 We don’t need any more reasons to visit Japan, but the fact that the country boasts two of the most incredibly beautiful and famous nature phenomenon makes it even more worthwhile. For many, the real star of the show, is Sakura season. If you’re in Tokyo, the prime time to catch the glorious cherry blossoms is usually mid-late March to mid April, but timings can and will vary slightly depending on the weather. There’s an actual weather watch, specifically designed to help travelers arrive at the perfect time. The other big hit in Japan is the Autumn leaves as the colors change from greens to reds, oranges and yellows. Late October through November is best and Kyoto is a worth side trip in this pursuit. You’ll win some, and you’ll lose some, but when you travel to Japan – you always win, one way or another. The smells and colors are simply wonderful. The drop of lavender in your cocktail, dinner plate or hand cream will always bring you back to the moment you discovered lavender in the wild. From late June to early August head down to Provence to see the amazing lavender fields for yourself, as the purple power takes over this charming region of France. You can drive, cycle, walk or book a guided tour to take in all the lovely scents and scenery. Plus, you’ll be in the south of France, so you know the food will be good. We’ve heard decent things about the wine, as well. If you’re lucky enough to be near the Northern Cape in August, be sure to check out the vast array of incredibly colorful and vibrant wild flowers, sure to inspire the impressionist painter deep inside you. Sadly, this iconic turn of color can be very short, depending on how much rainfall the land receives; but if you get lucky and catch them in full bloom it will be a sight that you will never forget. England is famous for many things, but few more desired than their roses. It’s hard to beat the romantic scents, bold colors and timeless feelings of an English rose garden and visitors clever enough to jet in starting in June and July almost always get to capture the magic. For the best possible experience, plan a trip to one of the many well known gardens, such as RHS Garden Rosemoor or Mottisfont’s rose garden, or, you can always just appreciate the gorgeous blooms in just about any country town, or perhaps even Kensington Palace Gardens. Set your Instagram feed alight with the stunningly bright and beautiful colors of the fall foliage in New England. You really can’t pick just one place. From Central Park in New York City to Newbury Street in Downtown Boston, if you time things right, you’ll be truly rewarded. If you can make it to the beautiful countryside of Maine, Vermont or upstate New York, even better. The most beautiful turning of the leaves occurs in October-November, but precise timing depends on how quickly winter sets in. These gorgeous flowers sweep across the countrysides of New Zealand, like something out of a Disney rendering. The unmistakable blend of purples, pinks, creams, oranges and yellows can go on for miles and is simply breathtaking, especially against stunning glacial lakes, with suspended crystals. Driving around the South Island from late November through December they will be hard to miss – and with incredible backdrops like Lake Tekapo and Lake Wanaka, it won’t get much better. With over 4,000 species of orchid, you’d be remiss to miss these beautiful flowers, whatever time of year you decide to go. If you’re planning your trip for maximum flora effect, the times between February and June will offer the best probability to see these stunning orchids in full glory. You can catch impressive collections at botanical gardens, such as the one in Quito, or you can spot them in the wild all over town. There are so many species you’ll probably need to buy a book, just to keep track! No garden can come close to the visions of red poppies blanketing the fields of Val d’Orcia in Tuscany. Like all of these iconic natural phenomenon, timings can vary from year to year, but late April into early May will give you the best chances of seeing this magical sight. The lush reds against the fields and blue skies makes for a truly incredible picture, and the other reds of Tuscany (we’re talking wine) offer something you can do more than look at! What’s your favorite flower bloom?